Location: APAC, Sarasota County, Florida USA. Notes: The spire is higher and body whorl sculpture stronger than extant C. ostrearum. 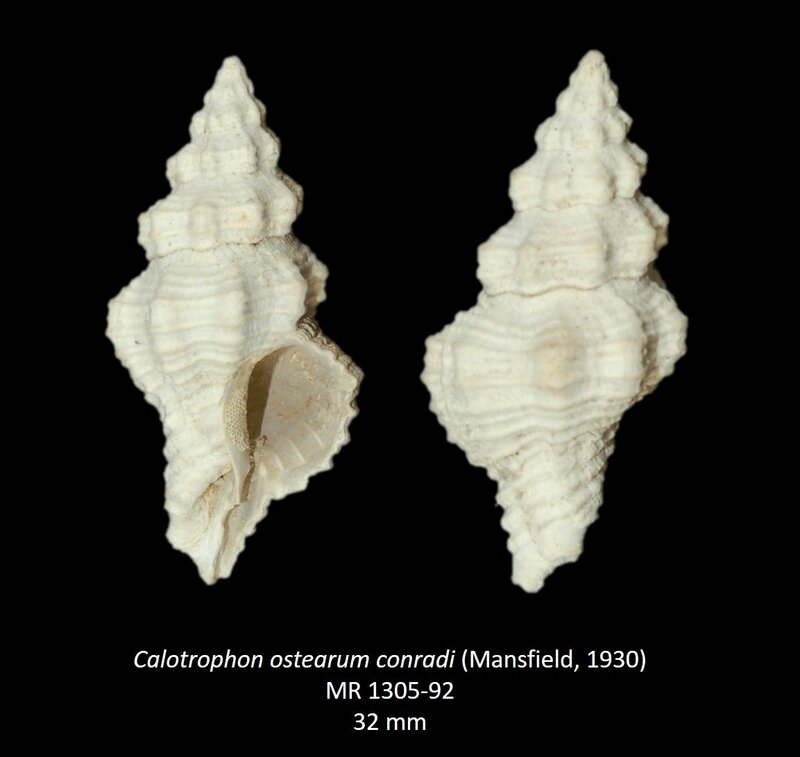 Possible intergrades exist between C. ostrearum and C. ostrearum conradi would exclude C. conradi to be considered a separate species, however it is a form that does not exist in recent populations.